PITTSBURGH — The Pittsburgh Pirates have activated outfielder Starling Marte off the disabled list. Marte missed nine games while recovering from an oblique injury he suffered swinging at a pitch against the Chicago White Sox on May 15. He is scheduled to bat third and play centre field on Saturday when the Pirates face the St. Louis Cardinals. 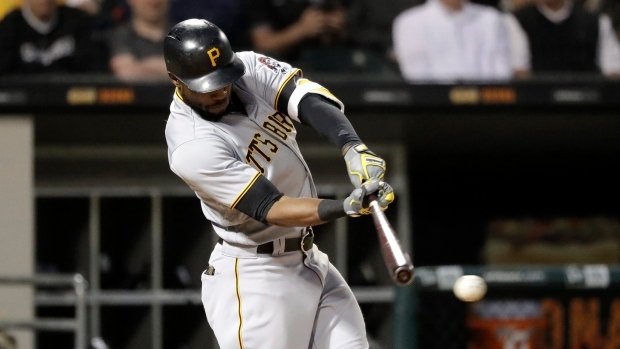 Marte was hitting .308 with six home runs and 19 RBIs at the time of the injury. The Pirates called up highly touted prospect Austin Meadows in Marte's absence, and Meadows played so well that the club decided to keep Meadows in the majors and option utility player Jose Osuna to Triple-A Indianapolis. Meadows is hitting .448 (13 for 29) with three home runs and five RBIs since making his major league debut on May 18.